Yeah..... Zainal Abidin is coming to town!!!! I glad that I going to meet him Bruther!!!! I'm one of his fans one ah don't play play..... Back in the early 90's I used to listen his song in the car and the song Ikhlas Tapi Jauh is one of my favorite song!!! 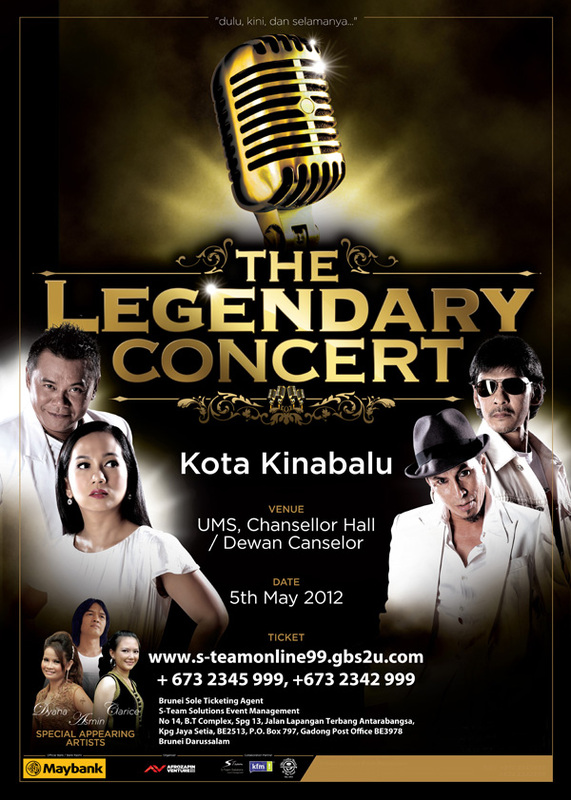 Man he is a Legend singer in Malaysia lah. I have two Malaysia singer which I love them very much coz I always and love to listen their song one. One is Sheila Majid and one is Zainal Abidin. I met Sheila Majid already and taking part her concert 3 times in Brunei. The first time I saw her I feel like see my Queen and now I can't wait to meet my King on Monday!!! Wanna meet him come to Gadong The Mall Coffee Bean 4pm 16/04/2012 lah Bruther!!!! Or 8pm at Times Square All Season Restuarant on the same day too!!! !